Mary Poppins Returns will take place a number of years after the first film starring Julie Andrews. The Banks kids have grown up and had children of their own. After a family tragedy, Mary returns to set things right. 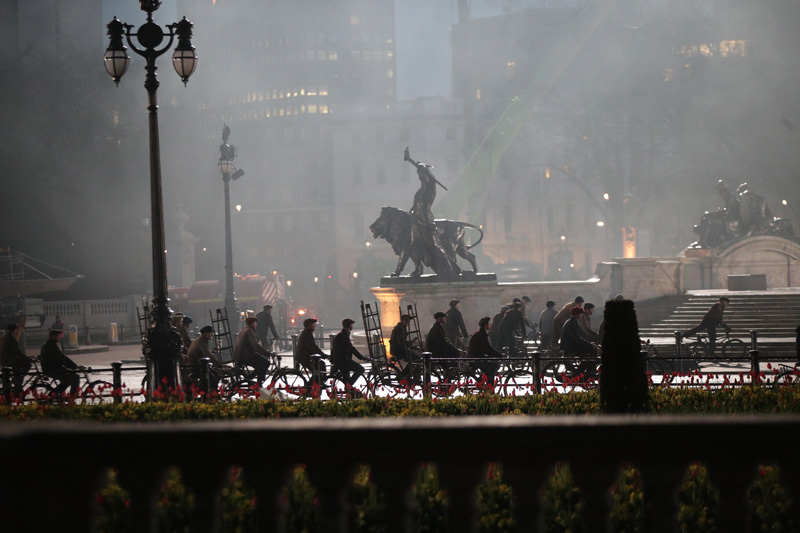 We got a chance to check out the set of Mary Poppins Returns and chat with Emily Blunt who stars as Mary. She told us about her relationship to the material, working with Rob Marshall, making Mary her own and more. Check out what she had to say below. ComingSoon: When you were little, your familiarity with P. L. Travers or Mary Poppins, or any relationship you had to the character or the stories or anything? Emily Blunt: Well I think Mary Poppins as a character is so iconic, and I think the film, for me, and I think for most people, is one of those films that is sort of seared into people’s memory, an emblem of their nostalgia in many ways. So I do remember it very fondly and took such a great comfort in it as a child, that was something that struck me of that person coming in and so capable and so magical, and just sweeping it all up and making it right. I took a lot of comfort in that as a child, so I think we are trying to, obviously, continue that now too with our film. It’s very surreal to me being Mary Poppins. CS: Did you know the books, or the film, or…? Blunt: I did see the film, I actually wasn’t aware that there were books. CS: So you play such diverse roles and you have created such indelible interesting character. Now you are playing a character who has to… you have inhabit a character, made as your own, you have to sing, you have to dance, and there are so many different elements to it. What is the most challenging part of doing all of those things? Blunt: The dancing, probably. I feel that I just try to approach her as I would any other character and not be caught up in the white noise of, “Oh my God, you are Mary Poppins.” I think that has been my main focus, is just to approach her calmly, as I would any other character, how I would play her, with what I have given on the page?I have not watched the originals since I saw it as a child, cause I… no one is going to outdo Julie Andrews. I think I just want to… this is just going to be my version her. The dancing has been the most daunting prospect for me. CS: So you having worked with Rob Marshall before, what is that experience now? That must help in sort of the whole confidence in dancing, knowing you are in good hands. Blunt: I mean we all laugh a bit about the fact that Rob makes you feel that you could do anything. In fact, we sort of, all of us come over and then we have to extract the smoke that has blown up… behind all… you know he just has this way of making you feel that you can do anything. He has this wonderful ceremonial approach to filmmaking. He makes it magical and special for everybody. He is meticulous about the details and I just love working with him, because he just digs for golds every day. So he expects a lot of you and that comes from singing, the acting, the dancing, because he doesn’t miss anything. So you do feel in such safe hands with him, in the same way he approaches me as an actor, he approaches me as a dancer now. He just… he wants it to feel like a confident exciting experience and he wants to feel characterful, as opposed to perfect. He has depth to him and I just loved every second, I find him the most elegant, wonderful person to be around. CS: So it’s very different stepping into the shoes of an adaptation where you are singing music in the familiar way. Here we have a completely original score, by Marcus Scott, so what was that experience like, hearing songs you have never heard before and then being the first to perform. That is a very different thing than doing Into the Woods where you are listening to other people recordings and stuff? Blunt: I mean to be the person to be first on some of these songs, it has been such a huge honor really. I think I felt less pressure approaching it in this way, then I would be doing an adaptation of something that has been done before, because it is not comparative. You’ve only got some that have actually been written for me, catered to me, and what my ability is, so in that way it has felt like an incredibly collaborative experience and one that I was invited into. But I think that these songs, even though you haven’t heard them before, there is something about the music that seems familiar, and I think that is always a sign of a great song, if you feel like I’ve heard this, and you realize you haven’t but it’s just that good that it strikes a chord in you. CS: The last question for you, which is, this is a lovely group of actors that we have and what was the experience working with Lin [Manuel Miranda], whom you haven’t worked with before, and Meryl [Streep] who you have worked with before, and the kids? How has that been for you? Blunt: It’s been remarkable seeing… I’ll start with the kids because it is that they are my main compadres on this. When someone says, “Hey, you want to take on Mary Poppins?” I’m like, “Yeah!” And then you realize that all of your scenes are with children. Actually, our kids are particularly brilliant and it’s been wonderful and quite moving to see them grow up in this experience and become real pros. Even Joel [Dawson] who wasn’t even eight when we started rehearsing, he was really young and hadn’t done anything before and having to be told, “This is a mark, you have to take your mark. You have to look here because of continuity.” Can you imagine hearing of that as a kid and because he is such a bright boy, he has grasped it and he really is that character. So he has got this vibrancy to him as a person, and he is bonkers as well, he is absolutely mad. This boy’s imagination is incredible. CS: Nathanael [Saleh], he is more sort of solemn, serious, but really really bright boy. Magical Pixie [Davies] is an old pro, she has done more films than me I think. Mary Poppins Returns will hit theaters December 19, 2018. Are you guys excited for the film? Let us know in the comments. 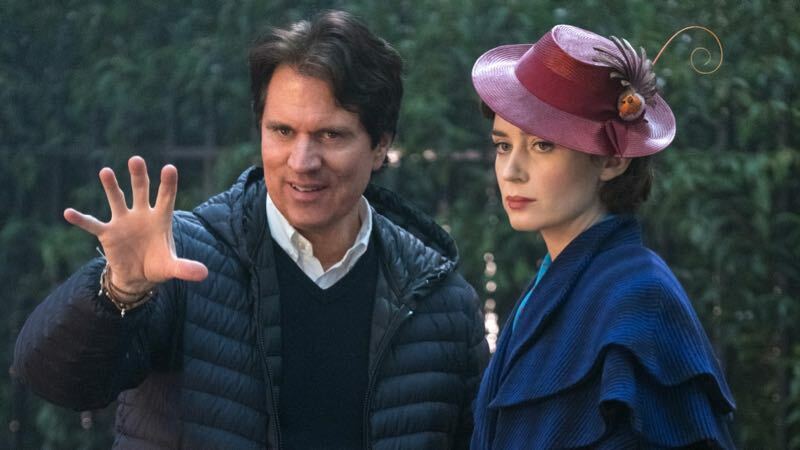 The post Mary Poppins Returns: Our On-Set Conversation With Emily Blunt appeared first on ComingSoon.net.